Research has demonstrated that the lasting great companies that consistently outperform the market decade after decade have one thing in common. They all have a clear vision, mission statement and core values that are ingrained into their employees and guide their business. 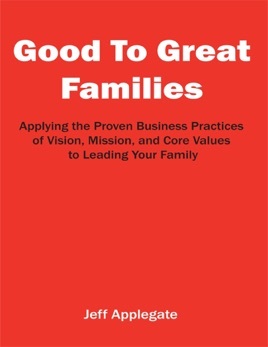 This book seeks to provide an illustration of applying the successful business principals of vision, mission, and core values to leading your family. As the author shares his personal experience you will be inspired to apply these principals into leading your family. • See how a vision describes what success looks like and provides a clear picture of where you are leading your family. • Learn how a mission statement can help answer the question of how we are to get there and help you create a mission statement for your family.